Strainprint Founder, Stephanie Karasick was featured in Women of Cannabiz. 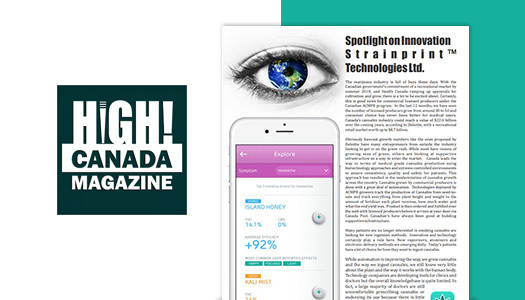 July 22, 2017 – Strainprint was recently featured in High Canada. Our story focused on innovation within the industry.